Coming this August: Piper, Baby and Jewel! Piper needs something to hold on to. Her family just moved into a homeless shelter in a whole new city. And her life may never be normal again! But Hope House brings new challenges and new friendships, including Firefly troop 423 and a sweet dog named Baby. Baby feels lucky. He gets to live in a park with his person, Jewel. A pack of two. But Jewel isn’t well, and there’s only so much her Baby can do to help her. Piper makes Baby feel like he’s got another heartbeat on his side. And Baby makes Piper feel like she matters—even if it’s just to one little dog. So when Baby and his person are torn apart, Piper knows she’s the only one who can help. But that means learning to trust her new friends—and herself—before Baby gets taken away for good. 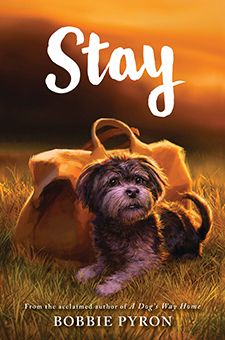 Told in the alternating perspectives of Piper and Baby, this heartwarming friendship tale proclaims the importance of hope, the power of story, and the true meaning of home. 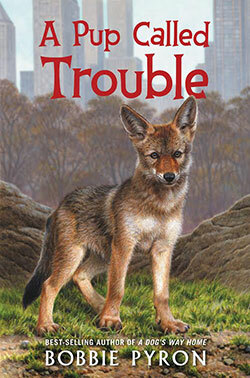 I'm so excited to reveal the cover of my up-coming middle-grade novel A Pup Called Trouble. It's about an overly-curious young coyote who gets in to all kinds of trouble when he gets lost in New York City! Can a crow named Mischief, an opossum named Rosebud, and a poodle named Minette help him find his way home? Great news: A Pup Called Trouble is a Junior Library Guild Selection! More great news: A Pup Called Trouble is a featured title this month at Walmart! Congratulations to Trouble and the gang for being finalists on the Texas Horned Toad Tale list for 2019-2020, and the Rhode Island Children's Book Award list for 2019-2020! Booklist Magazine awarded Trouble a starred review! "An enthralling adventure with heft and read-aloud potential. Fans of Kate DiCamillo and E.B. White will treasure Pyron's book." 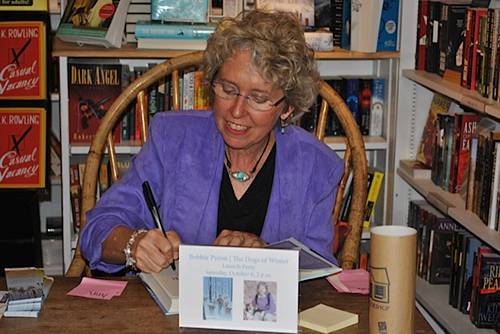 The book is available in hardcover and ebook, as well as an audiobook. l'll be posting more about Trouble's adventures, so stay tuned!